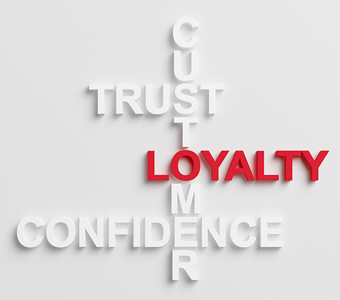 Popink services loyalty programs including one of Australia's largest and longest running programs, flybuys. We source an eclectic mix of products and work with our clients to ensure members are rewarded for participating in the best reward programs in Australia. We work with and source products from many brands and distribute them all over Australia on behalf of our clients. On behalf of our clients, we source product, negotiate pricing, manage inventory, process orders and drop ship rewards to customers. Sourcing product to meet the demands of one of the largest reward programs in Australia means we also work with a wide range of suppliers with whom we cultivate excellent relationships. We are constantly looking for new ideas and products to keep the offers fresh. Therefore we source products from a range of suppliers with the aim of offering a diversity of choice to members. We demand excellent service from our suppliers and ensure our team delivers excellent service to all our customers. Quite simply... we are demons for detail! Getting it right the first time just saves so much time in the long run. We keep things focussed. Having worked with flybuys since 2005, we have a solid understanding of the products that work in reward programs and strive at all times to offer the best available range to suit the diverse member base. We are proud of the long list of unsolicited testimonials received from happy customers over the years. Contact us at any time to discuss your fulfilment requirements.